Barbara D. Knothe, a Partner in Garfunkel Wild, P.C.’s Health Care Practice Group, has over 20 years of experience in the health care field. A registered nurse with critical care experience, Ms. Knothe has extensive experience in the representation of health care providers, with special emphasis on general health care, regulatory and corporate transactions. Her clients include hospitals, physicians, home health agencies and other health industry providers. 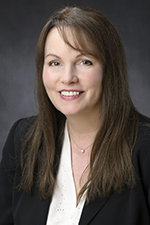 Ms. Knothe has particular experience in regulatory and The Joint Commission, HIPAA, EMTALA, 340B Program, licensure and treatment issues, as well as physician and medical staff issues and health care transactions. She has been actively involved in the development and implementation of various types of compliance programs for numerous health care facilities and systems. Ms. Knothe represents physicians and other licensees in investigations before the Office of Professional Medical Conduct and other disciplinary agencies, and in hearings before Medicare and other payors. Ms. Knothe has been a frequent speaker on EMTALA, The Joint Commission, HIPAA and other federal and state regulatory issues, as well as treatment issues. Ms. Knothe was a contributing author of the “Legal Manual for New York Physicians,” a collaborative effort of the New York State Bar Association and the Medical Society of the State of New York, and is a frequent contributor to the New York Health Law Update. Ms. Knothe received her B.S.N. from SUNY Brockport in 1977 and her J.D. from Pace Law School in 1984.